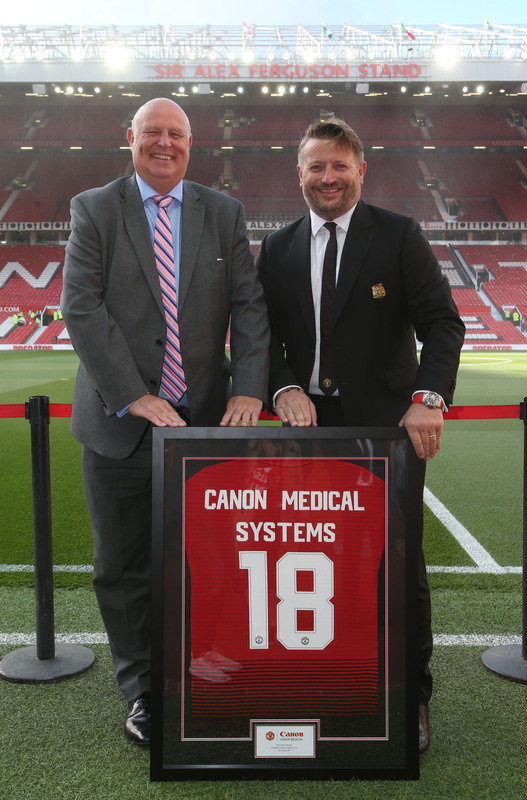 Manchester United Football Club and Canon Medical Systems announce continued clinical collaboration. Relationship to drive medical research in cardiology, musculoskeletal and sports medicine while simultaneously supporting elite football injury assessment, prevention and ensuring a faster return to the field of play. Mr. Mark Holmshaw, CEO and President of Canon Medical Systems Europe BV (l) and Mr. Richard Arnold, Group Managing Director, Manchester United Football Club during the Premier League match between Manchester United and Leicester City at Old Trafford on August 10, 2018 in Manchester, United Kingdom. 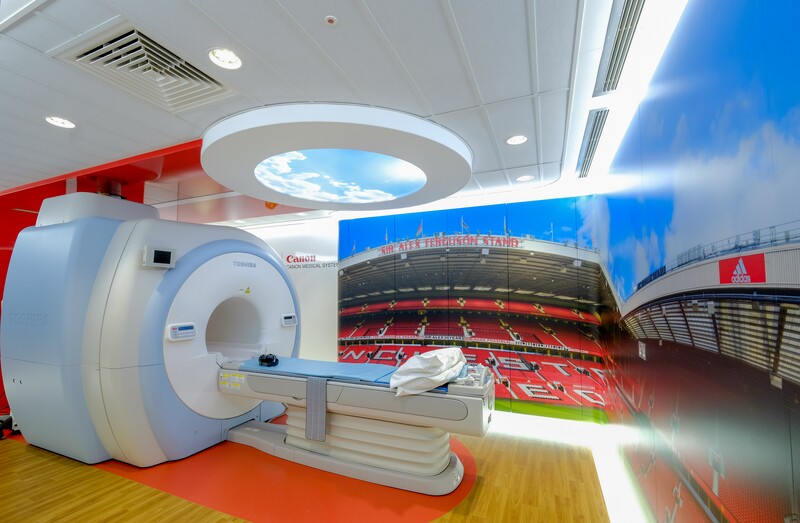 Highlighting Manchester United’s medical centre is state-of-the-art equipment supplied by Canon Medical Systems: an Aquilion ONE GENESIS Edition computed tomography (CT) scanner, a Vantage Titan 3T magnetic resonance imaging (MRI) scanner, an Aplio i-series ultrasound scanner, and a Viamo portable ultrasound system. Club doctor Steve McNally discusses the value of his club’s partnership with Canon and the benefits of daily access to the company’s sophisticated equipment. 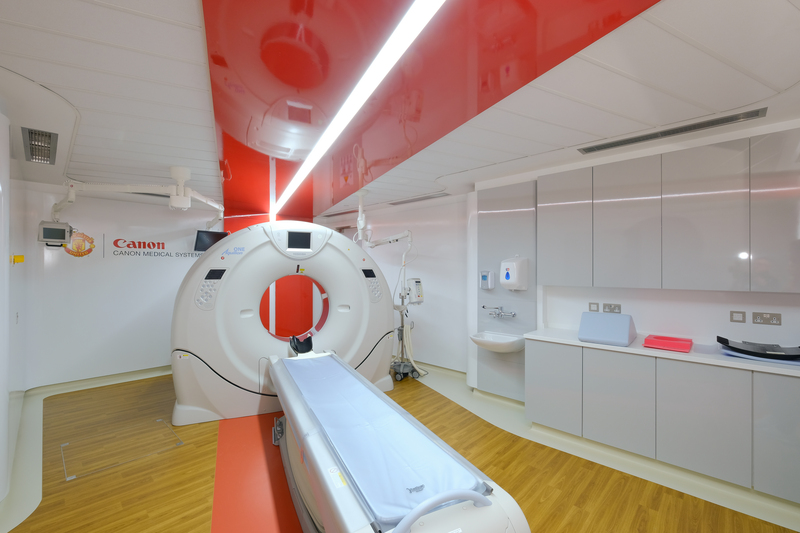 “During the past six years, our partnership has redefined the standard for medical imaging in elite sport. Daily access to state-of-the-art equipment and intelligent technologies has improved responsiveness to clinical presentations. Most importantly, we have developed a concept of ‘performance imaging’ over and above clinical diagnostics” states Dr Steve McNally. “By utilising innovative techniques borne out of shared ideas and experiences from Canon Medical’s wider network of experts, we can now profile and monitor our players in ways we have never done before. This not only enhances athlete health and safety but also provides invaluable information to guide the athletic development process. As part of the partnership, we have also shared data that will assist in improving health services for the general public.” Dr Steve McNally. The Canon Medical Systems-Manchester United partnership aims to take sports medicine to the next level. The partnership will translate the sports medicine innovations and findings into benefits for wider patient populations in the development of new techniques and new treatment pathways.